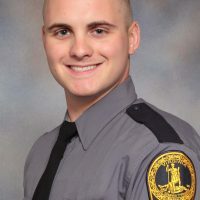 The Virginia State Police Bureau of Criminal Investigation’s Appomattox Field Office is investigating a shooting in Cumberland County that claimed the life of a Virginia State Police trooper and resulted in the death of the shooting suspect. The incident occurred Monday, Feb. 4, 2019. The adult male suspect died at the scene. His remains were transported to the Office of the Chief Medical Examiner in Richmond for examination and autopsy. State police are still in the process of notifying next of kin. The male suspect was the only individual inside the residence at the time of the shooting. The search warrant was being conducted as part of an ongoing narcotics investigation. Kings Dominion Twisted Timbers Selfie Booth!